Christian Schaffalitzky, Chairman at Eurasia, added: “We are delighted to advance the Monchetundra Project. The details include not only the engineering components but also the financing and legal documentation. We will be busy over the coming months developing our plans with Sinosteel for the mine’s startup and expected move towards production. – Award of the Detailed Project Documentation contract to Central Kola Expedition “CKE” (www.ngu.no/Kola/cke.html) who have already successfully developed the Monchetundra Feasibility Study and Monchetundra Ecology Report. CKE has an extensive track record in working with companies such as Norilsk Nickel, Severstal/Nordgold, Fosagro, B2Gold and Barrick. – Sinosteel advised Eurasia that it is prepared to work in close co-operation with CKE towards commencement of the EPC contract and the expected associated financing. – Land Surveying to mineable detail to commence immediately. – Evaluation of surrounding ‘Flanks’ to the deposits at Monchetundra as potential new development licenses is already underway – license applications to be made in due course. Following a meeting between the parties, Sinosteel made the following statement: “We are delighted that Terskaya Mining Company controlled by Eurasia Mining Plc has received the final mining permit for the Monchetundra project. We look forward to working with CKE, TGK and Eurasia, to commence the EPC and develop the mine and plant at this exciting palladium, platinum, copper and nickel project”. Christian Schaffalitzky, Chairman at Eurasia, added: “We are delighted to advance the Monchetundra Project. The details include not only the engineering components but also the financing and legal documentation. We will be busy over the coming months developing our plans with Sinosteel for the mine’s startup and expected move towards production. CKE, Eurasia’s long-standing working partner at the Monchetundra Project, who have managed drilling and exploration programs through the project’s development, have been awarded and have now commenced work on a Detailed Project Report (“Report”), required to be submitted and approved within one year of the issue of the mining permit. The contract is awarded to CKE by Eurasia’s subsidiary Terskaya Gornaya Kompany (‘TGK’). The contents of the Report were discussed in detail during meetings held at the site in early 2019. The Report will include an outline of the further geotechnical, hydrogeological, metallurgical and resource and reserve base work required as part of the broader mine development plan. The Report is a statutory requirement and is on track to be completed and approved. The ground works and other studies detailed within the report will then contribute to a more detailed Feasibility Study of permanent conditions and a revised reserves statement made on the basis of the existing Feasibility Study and the reserves report already approved by the State. It is Eurasia’s intention to fast track the above and to run them in parallel with further mine studies and programs as outlined in the EPC contract with Sinosteel. Sinosteel (http://en.sinosteel.com/index.html) is a diversified and integrated base and industrial metals enterprise and a major importer of iron ore to China. They have also built chrome and nickel operations in South Africa, China, Indonesia and Australia. The Sinosteel EPC financing covers 85% (or US$149.6M) of a total contract value of US$176M. A US$50M sub-contract is specified within the contract and is assigned to Eurasia’s 80% subsidiary TGK, or a sub-contractor of its choosing, for engineering and pit development works in advance of mining. The Directors expect a survey of the land on and adjacent to the proposed open pits to proceed during spring 2019. This information is expected to be critical in determining the final location and design of mine infrastructure including tailings storage facilities, mine wastes dumps, exact plant location, roadworks and other infrastructural elements. Provisional locations have been determined and approved by government agencies in approving the Mining Permit, however a further level of precision is now required for more careful planning. Forestry clearing and Forestry commission approval is not considered to be a significant factor in infrastructural planning, and it is not expected that any population centers will be directly affected by the open pit mines development. As is the case with Eurasia’s operating mine at West Kytlim in the Ural Mountains, the holder of a mining license has, under Russian legislation, the right to apply for further ground adjacent to an identified deposit, and within 5km of an approved reserve. The issue of the mining license at Monchetundra could considerably change the project’s potential, as the holder of the mining license can play a pivotal role in the development of further deposits adjacent to the issued license. Eurasia’s Monchetundra Project occurs at the triple junction of three major igneous massifs, namely; The Monchetundra Massif, Monchepluton Massif and the NKT (Nittis Kamushnaya Travanya Massif). Significant exploration and mining have occurred in these massifs in the past, including exploration and open cast and underground mining in base metals including Nickel and Cobalt, as well as PGM, mostly Palladium. Eurasia’s focus will be on potential additional areas’ prospectivity in terms of Palladium, Nickel and Cobalt. TGK, Eurasia’s 80% owned subsidiary, and the holder of the Monchetundra Mining Permit can apply uncontested for areas on the ‘flanks’ of the existing license which do not contain an approved reserve and are within 5km of the current mining license. TGK can also apply for areas on the flanks of the license where a state approved reserve is already registered, though this can be contested. Other company’s applying for areas within the 5km flanks zone, with or without known resources and reserves, must seek written approval from TGK for their application. A number of deposits are known adjacent the Monchetundra deposits, some of which may contribute directly to the long-term development of a PGM-base metal operation with toll treatment over distances of 2 to 8km. These prospects and potential applications are now being reviewed in detail by Eurasia, TGK and CKE, with applications to be made within 3 years of the issue of the mining permit. At the Company’s West Kytlim Mine a 71.1KM2 additional Flanks License was awarded to Eurasia in mid-December 2018, that has increased the total area from 21.5KM2 to 92.6 KM2, i.e. by 4.5 times. 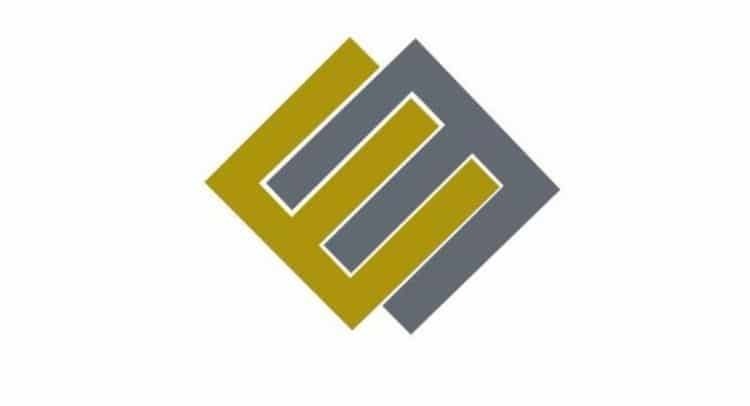 Eurasia Mining PLC, the palladium, platinum, rhodium and gold producing company, is pleased to provide an update on developments at the Monchetundra Project in the first quarter of 2019. Eurasia is developing its Monchetundra Project towards production following the issue of a mining permit for circa 2Moz (2PGE + Gold) deposit in November 2018. An Engineering, Procurement and Construction (EPC) contract, with an associated mine finance package, has been signed with Chinese company Sinosteel. Discussions between the parties have been ongoing since the issue of the mining permit, as the project is progressed towards the production stage.